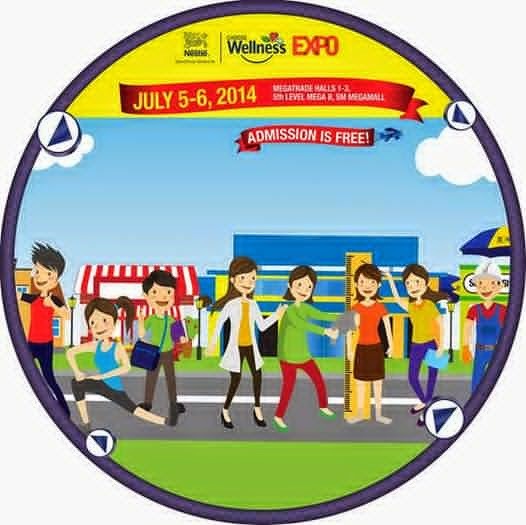 Nestlé is once again holding the Nestlé Choose Wellness Expo on July 5-6, 2014 at the Megatrade Halls 1-3 of SM Megamall. Just like in the past years, visitors to the Expo will be able to consult with a Nestlé nutritionist for a free nutrition advice. There will also be fun booths, and games and activities, and booths where they can try product samples. Now on its 6th year, the Nestlé Choose Wellness Expo 2014 will serve as a highlight to the celebration of Nutrition Month in the Philippines. Entrance is free an pre-registration is recommended. Visitors may pre-register until July 2 at www.choosewellness.com.ph. For more information on the Expo, check the Wellness website at www.choosewellness.com.ph or the NestléPH facebook page. Follow the official hashtag (#ChooseWellnessExpo) on social media for more updates. Per DOH-FDA CFRR Permit No. 0391 s. 2014 - Activities in the Wellness Expo are generally intended for those of age seven years old and above, and are not intended for women who are pregnant and lactating, and children below three years old. Children 3-12 years old should be accompanied by a parent or guardian at all times.